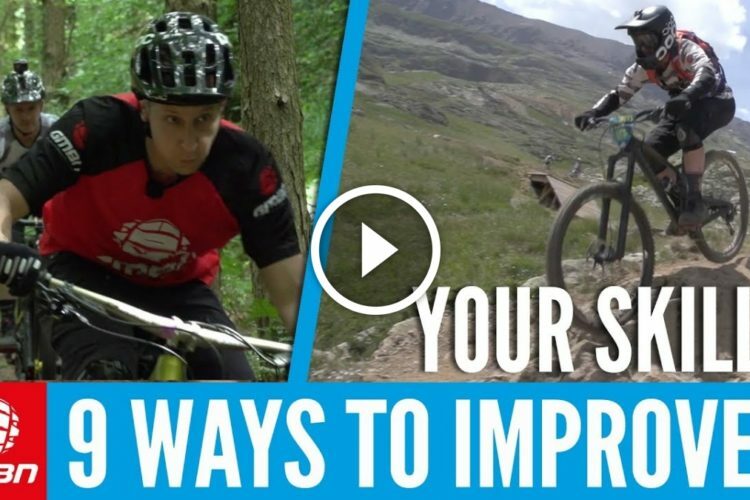 Steep Downhills can be intimidating, but once you’ve mastered the skills to tackle them with confidence, they can be a lot of fun! 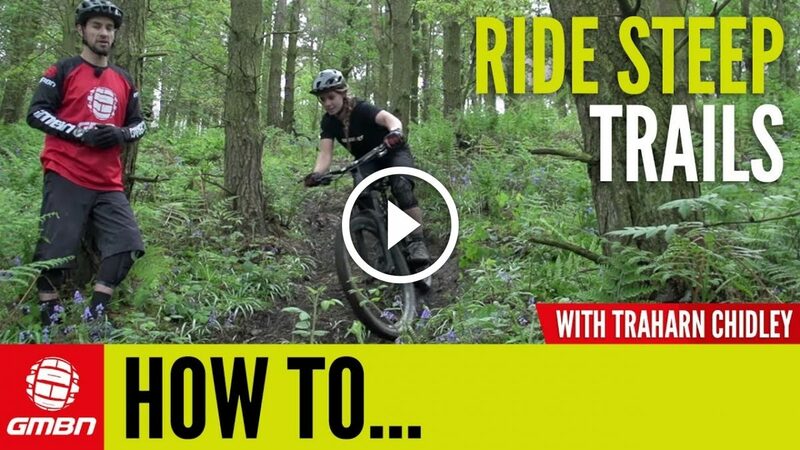 Traharn Chidley grew up riding steep trails and is helping Neil show you the basics! So Traharn there’s loads of steep trails in these woods. Here’s a steep bit. What would be your first tip to someone who is maybe a little bit scared of riding something like this? – My first tip would definitely be to have the seat as low as possible. Whether that is the dropper, or the quick release, or even taking the time to get the Allen Key out. – Yeah definitely I would agree with that. If your seats still up it feels like your centre of gravity goes right towards the bars. And I guess brakes, really important. – Yeah, I always avoid using the front brake and just use the back brake when I need to. – Yeah definitely say as well having a bigger rear tyre something with a big chunky grip on there. That’s really going to help you slow down on the steep stuff. – So you see this section of trail is actually rutted out quite badly because it’s steep and it’s corners. You can actually try to use that to your advantage. See Traharn get up on the side of the ruts always use them like berms. Bit like a bobsleigh run, you’ve got that extra sport as you’re braking hard and cornering. 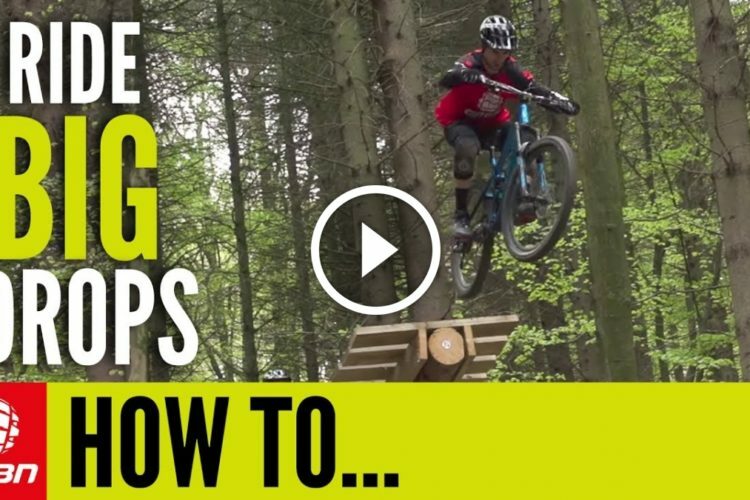 Bike setup will make a difference in how easy you find riding steep downhills. We talked about having a good amount of grip on that rear tyre. Also bigger brakes are gonna help. So that’s why downhill bikes have 200 mil brake rotors. – [Traharn] Another thing that’s good is having your bars raised a bit more. It will keep your weight back and stop you feeling like you’re going over the bars. – Yeah same for the stem as well really. The shorter the stem the better for riding downhill. I’m riding clips today but it’s taken me a little while to feel really confident riding steep downhills on clips. – I am on flats. I can wear clips but with flats when I’m riding steep tacky stuff and also muddy stuff I just feel much more confident on flats. The battle of riding something like this is confidence. If you get going into a little bit unsure then the chances of you not riding properly are much higher. So the best thing to do is once you’re at the top is you either walk down, have a look at it, see how you feel or if you don’t want to ride it that’s fine but once you make that decision follow through with it and just ride it and you’ll be fine. 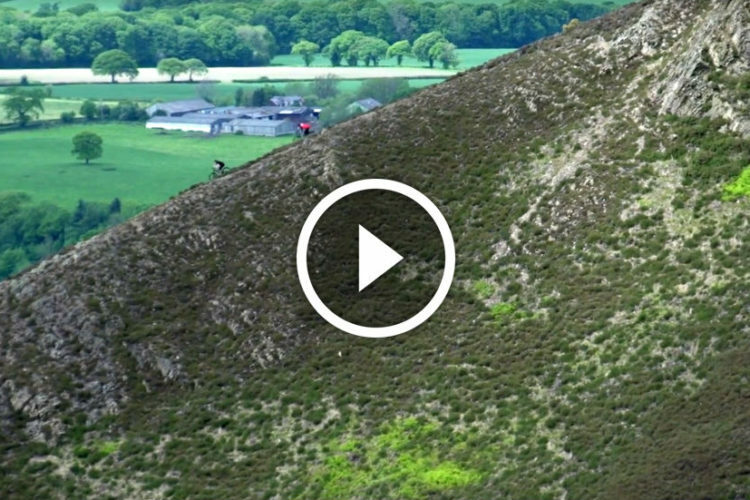 – A really steep section like this your entry speed is really important. Coming too fast you’re just never going to stop and you can get into trouble. I’m going to come in nice and slow but I’m also going to try not to stop because if I try to stop I will probably slide out and I could crash. So keep the wheels rolling try and commit to it. So there you go. 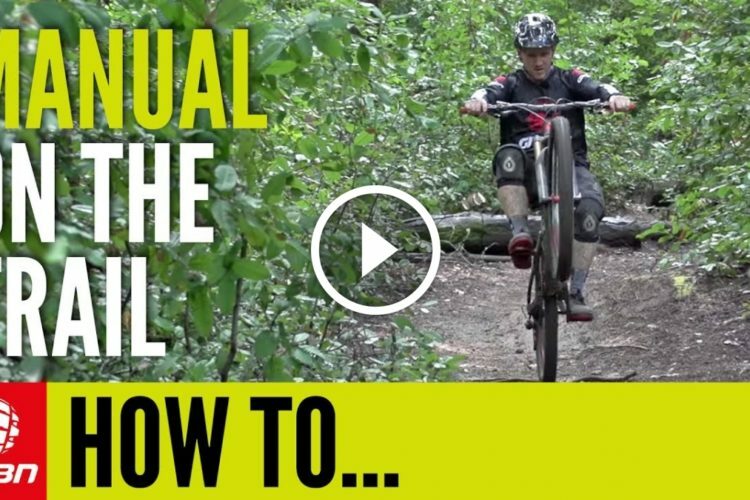 There’s just a few tips on how to deal with steep downhills. – And another tip: just make sure you go down nice and slowly, nice and steady, and you’ll end up really enjoying downhill steep stuff.